The information provided below is meant to help you understand the role of your breast cancer biology treatment decisions, as well as the role of other tools used in determining your ability to receive chemotherapy or targeted therapy (precision medicine). 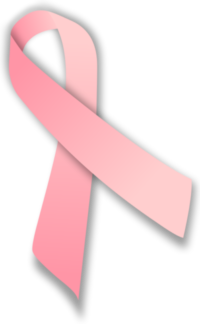 Thus, from birth to death a woman in the United States has a 12% lifetime risk (1 in 8) of developing breast cancer. Age, gender, family history of breast and/or ovarian cancer, genetic factors, obesity, sedentary lifestyle and alcohol use. The most common site for the breast cancer cells to develop is in the milk duct (75%), and this type of cancer is called ductal carcinoma. The other site is in the lobules, and this type of cancer is called lobular carcinoma. Despite the steady increase in the number of breast cancer cases diagnosed each year, breast cancer mortality is declining mainly due to the combined benefit of early detection (mammography) and more effective treatment options. The five-year survival rate has increased from 75% in the 1970s (1975-1977) to 91% in the 2000s (2005-2011). The goal of breast surgery is to completely remove the tumor as well as some of the surrounding tissue, to ensure the entire tumor is removed. The surrounding tissue that is removed is called a margin. Successful removal of the tumor will include a clear margin (i.e. free of cancer cells) and should measure 1- 2mm of clear tissue, depending on the type of breast cancer you have. This can be accomplished with either a lumpectomy (partial removal of the breast) or mastectomy (removal of the whole breast). You and your breast surgeon should discuss which of these options is best for you, considering factors such as the size of your tumor, your breast size, and the best approach to achieve the best cosmetic outcome. If you decide to undergo a lumpectomy, you may or may not need whole breast radiation after surgery. You might not need radiation if you are over 70 years old with stage I cancer. Whole breast radiation reduces your chance of cancer recurrence from 35% to 19% after lumpectomy (Lancet 2011;378:1701). You can discuss with your radiation physician about a shorter course of radiation with 40-42.5 Gy over 3.2 weeks (it has been shown to be equivalent to 50Gy over 5 weeks in the START trial). You might need radiation to the lymph node areas as well if cancer is found there. You might qualify for the accelerated partial breast radiation (APBI) with much shorter time needed for radiation if you have stage I breast cancer. Your radiation physician will assess this for you. If you need chemotherapy then radiation is usually given after chemotherapy is completed. 1) Cancer is recurring (you have had breast cancer before) or your cancer is a first time diagnosis: The treatment for recurrence is determined by what type of treatment you received for your first diagnosis. Certain chemotherapies can only be given once in your lifetime, so if you have already received one type of chemotherapy with your first cancer, then that chemotherapy will not be recommended for you again. 2) Cancer stage: This is determined by the tumor size, number of lymph nodes removed during surgery or visualized on mammogram or MRI (if necessary), and whether the cancer has spread to other areas of your body (bone, liver, lungs, skin, etc). If your tumor was not surgically removed the staging may be determined from different tests including, mammogram, ultrasound, MRI, CT scan, bone scan and/or PET/CT. Not all early stage breast cancer (stage I and II) will require treatment with chemotherapy. In order to determine the risk of recurrence and whether you will benefit from chemotherapy, your physician will order a test called Oncotype DX or Mammoprint, or PAM50. These tests are only recommended for patients whose tumor biology has positive estrogen or progesterone features. Stage IV or metastatic breast cancer treatment depends on whether this is a new cancer or a recurrence. You will need some form of treatment that includes chemotherapy, targeted therapy (precision medicine), anti-hormonal therapy or a combination of these. You may also need radiation or surgery if you are experiencing symptoms that may be alleviated with these treatments. Our web application will give you multiple options for treatment in metastatic disease. 3) The molecular characteristics of the tumor (biology) greatly affect treatment decisions: Currently, treatment is determined by whether your tumor expresses any of the following biological features: estrogen, progesterone and/or Her2/neu. If the tumor has estrogen or progesterone features, it is called estrogen- or progesterone- receptor positive breast cancer. Receptors are proteins present on the tumor cells to which estrogen or progesterone bind to and promote tumor growth. 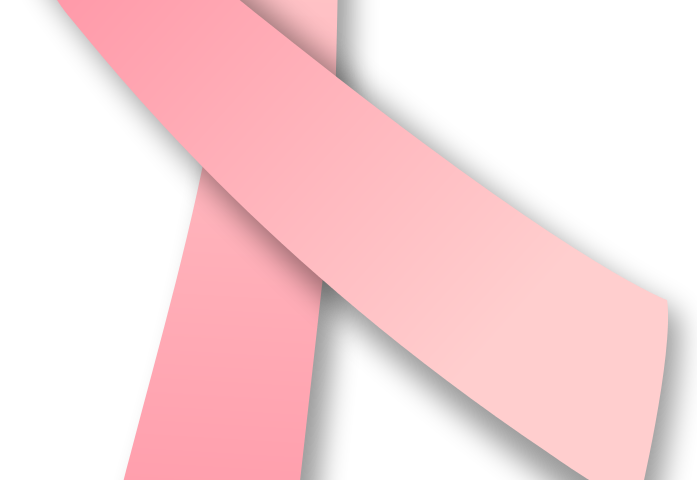 The HER2/neu is a protein that plays a role in the growth of breast cancer. These tests should always be performed, as they determine what type of treatment you will receive. If your tumor biology has estrogen or progesterone features, it is called hormone positive breast cancer. This feature indicates that your treatment will include anti-hormonal therapy after either surgery, radiation, or chemotherapy. The anti-hormonal therapy type and duration will depend on your menopausal status: premenopausal (still having active regular menstrual period) or postmenopausal (last menstrual period was at least one year ago). Examples of prescription-based anti-hormonal therapy medications include tamoxifen, anastrazole, letrozole, exemestane or fulvestrant. If your tumor biology has HER2/neu features, it is called HER2-positive breast cancer. This feature indicates your treatment will include targeted therapy against HER2/neu, and will be given either before or after surgery or radiation, and most likely in combination with chemotherapy. Examples of anti-HER2/neu targeted therapy medications include trastuzumab, lapatinib, pertuzumab or ado-trastuzumab emtansine. These therapies have a small chance of affecting your heart function, thus routine heart monitoring with heart echo test will be part of your treatment monitoring plan. If your tumor biology does not have estrogen, progesterone, or Her2/neu features, it is called triple-negative breast cancer. This type of cancer is generally more aggressive, therefore its treatment is more aggressive and will most likely include surgery, radiation, chemotherapy, or some combination of these treatments. BRCA1/2 gene mutation: BRCA1/2 genes are tumor suppressor genes and are responsible for DNA repair among other functions. If you have this mutation, a newer drug called PARP (poly ADP ribose polymerase) inhibitor (olaparib) was recently available for ovarian cancer patients. PARP1 is a protein that works to repair single-strand DNA breaks (‘nicks’ in the DNA), this process is important for cell division. A small percentage of cancers do not present with the typical features mentioned above. These include inflammatory breast cancer, neuroendocrine or metaplastic carcinoma. The treatment for these is more complex, as they do not have the typical tumor biology. Treatment will depend on tumor size and tumor features. Finally, chemotherapy, targeted therapies, and anti-hormonal therapies can result in unpleasant side effects such as hair loss, numbness of fingers or toes, cardiac toxicity, nausea, vomiting, diarrhea, abnormal liver function or low white blood cell count that could cause infection, hot flashes and fatigue. However, advances in the oncology field have led to numerous supportive measures, such as white blood cell growth support (i.e. Neulasta) or anti-nausea medications (such as Zofran, Emend), that help to control most side effects when used as prescribed.